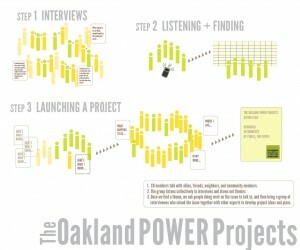 The Oakland Power Projects (OPP) are an initiative to engage Oakland residents in building community power and wellbeing without relying on cops. CR Oakland has been fighting against the violence of policing for more than 10 years, and we hope you’ll join us in this next phase. 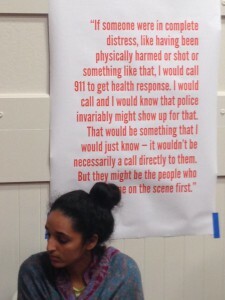 The “Know Your Options” workshop series from Critical Resistance’s Oakland Power Projects aims to increase people’s access to the healthcare they need and to decrease people’s contact with law enforcement. 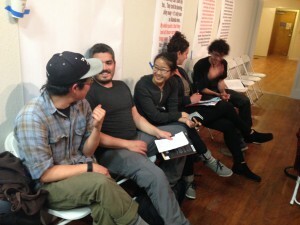 Workshops are facilitated by healthcare workers and community organizers. 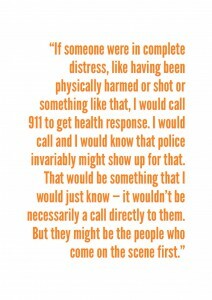 The “Know Your Options: Behavioral Health” is designed to increase people’s understanding of mental health-related experiences, events, trauma, and conditions so that we don’t default to 911 or the cops when a baseline or escalated mental health-related event or experience happens. 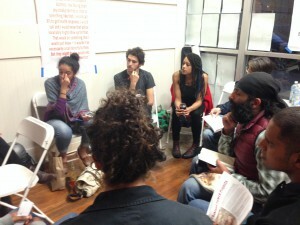 The “Know Your Options: Chronic Health” workshop is designed to increase people’s understanding of how policing, incarceration and gentrification drive health inequalities manifest as chronic illnesses and to empower folks who live with them to access the care they need with minimal contact with law enforcement. The workshop ends with the problem of substance use and specific training on responding to and reversing drug overdoses. The “Know Your Options: Acute Emergencies” workshop is designed to increase people’s confidence and understanding of acute injuries, ranging from gunshot wounds, knife wounds, glass lacerations, to car crashes, falls, and other unanticipated sudden health impacts. The workshop will address basic medical needs and “red flags” so people know what level of care they need to access, and guidance about how to access this care. Click HERE for the full workshop calendar. 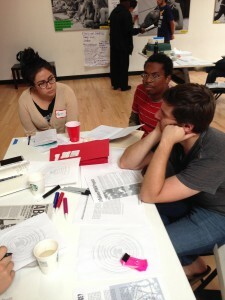 Host a “Know Your Options” workshop with your organization. 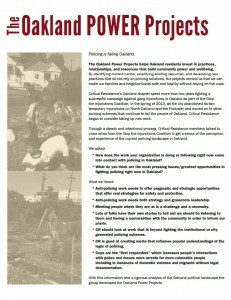 This workshop is offered by Critical Resistance-Oakland and is part of the Oakland Power Projects. Sign up for a workshop on this form. 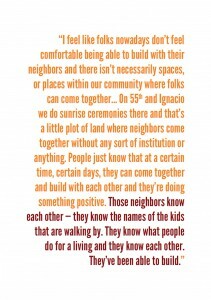 For more information, email PowerProjects@CriticalResistance.org or call 510.444.0484. We also regularly offer Abolition of Policing workshops. 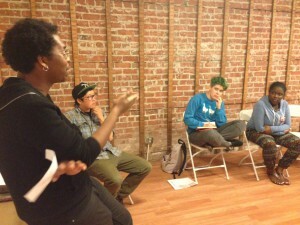 The next Abolition of Policing workshop is Saturday April 23rd, 11am-1pm. 1904 Franklin St #504, Downtown Oakland (CR’s office). Email croakland@criticalresistance.org to RSVP. 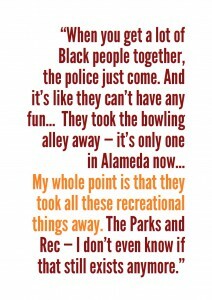 Following the successes of the Stop the Injunctions Coalition and strong city-wide organizing against policing, CR was determined to continue eroding the power of OPD and to continue stoking anti-policing politics in Oakland. 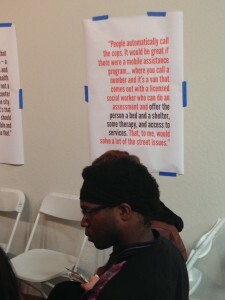 CR talked with our allies and, with their guidance, saw that we could make this an opportunity to shift towards building practical abolitionist tools that empower us to divest from policing, instead of waiting for the cops to unveil some new scheme or leave us furious and reactive in the wake of inevitable calamity or tragedy. Read our first report on the process and findings. 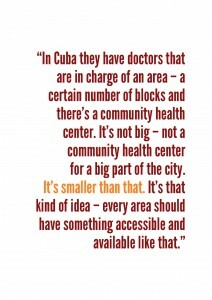 Critical Resistance then reached out to community health workers. 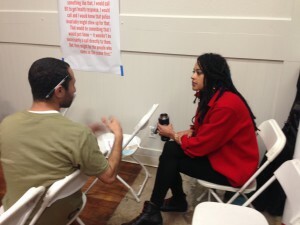 CR members talked with emergency room doctors, community medics, community clinicians, and herbal healers, and asked them what they thought Oakland residents needed to know about staying healthy and what kinds of resources they would like to see developed in the city. Read our report on the process and our findings here. From that information, we’re building our first Power Project to work with people to build skills and confidence in addressing some health concerns while decreasing people’s contact with police. 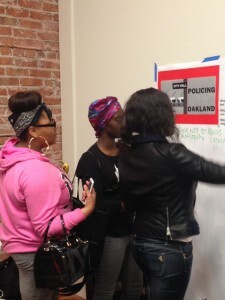 We are organizing a cohort of these health workers to design and provide community-based “Know Your Options” education so Oakland residents can confidently not call the cops as a first resort if they’re worried about people being hurt. 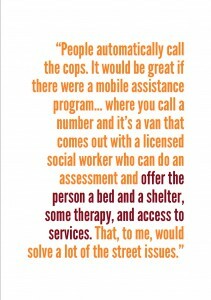 These workshops are being designed to build people’s skills and knowledge so that they can access the healthcare that they need while minimizing potential police contact. 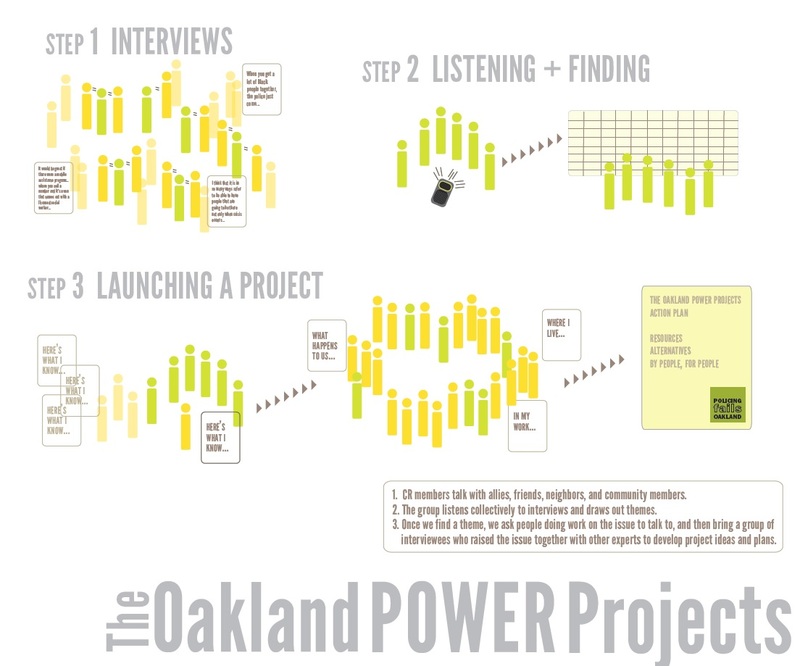 The Oakland Power Projects will be ongoing: we are continuing to collect stories from Oaklanders (see below) and after we get this Anti-Policing Healthworker Cohort on its legs, we’ll return to the interviews to search for the next theme and Power Project to develop. Read the 2014 Year in Review here. 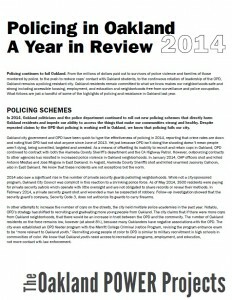 CR’s Policing in Oakland: A Year in Review 2014. 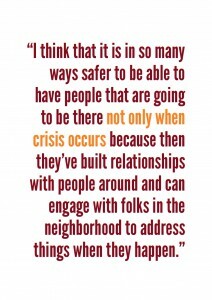 Critical Resistance is dedicated to making sure that Oaklanders have information and analysis to keep resisting the violence of policing together. Each year, CR will keep an eye on the policing in Oakland (the OPD, their federal collaborations, and other policing entities such as private security hires). We’ll summarize the schemes, scandals, and the incredible organizing that’s being done to erode the power of the cops, and report it back in this Year in Review report. Tell us about your experiences with policing; what makes you feel safe and secure; what resources you’d like to see. 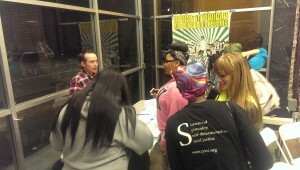 Email powerprojects@criticalresistance.org or call 510.444.0484 to set up an interview time. Are you part of an organization? Schedule us to come to your organization for a story-collecting session. 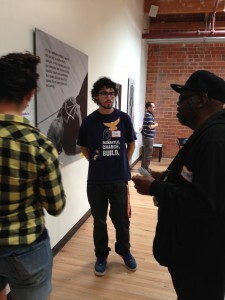 Contribute to our Oakland Power Projects story page on vojo.co, a public story-telling platform! 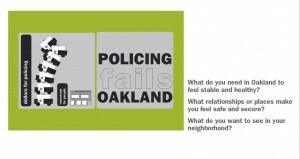 Tell us your ideas, share a story, or share something (a place, a strategy, a resource) you know already exists that makes Oakland stronger without the police. And, if you set up a vojo login, you can join the Oakland Power Project vojo group to get updates about the project. 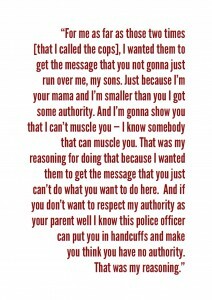 Get grounded in the history of policing and resistance to the cops, then start practicing alternatives. UPCOMING DATES ABOVE. 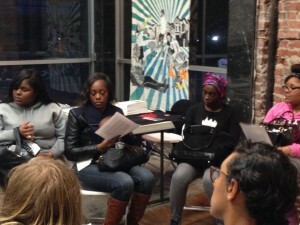 Bring the “Know Your Options” workshop to your community space or organization. Information above, please email powerprojects@criticalresistance.org. 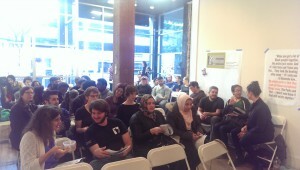 Thank you to all who attended the launch event! The room was packed and full of enthusiasm to fight the power of policing–the perfect setting to kick off this self-determination project. 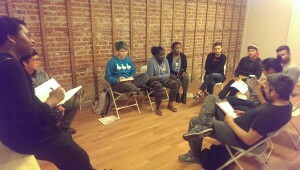 Together we listened to interviews with Oaklanders who have found ways to not rely on the cops, reviewed reviewed CR’s previous demands and campaigns around policing, and had fascinating small discussions about what people are *already* doing in Oakland to resist policing and what people desired to build. 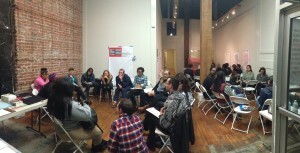 At the end, people signed up for next steps, and we hope you will too!